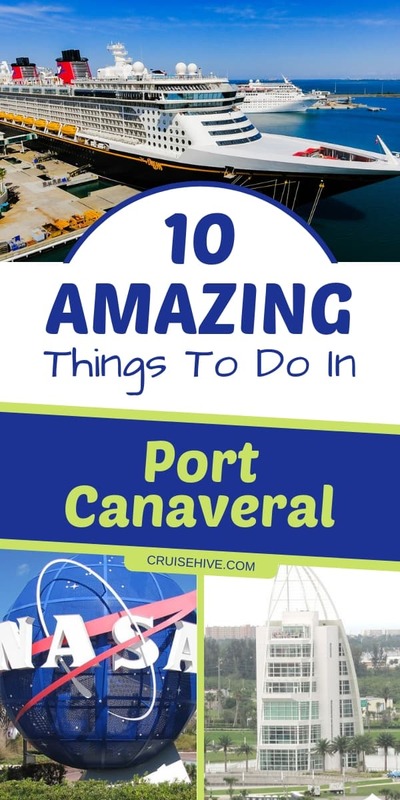 Whether Port Canaveral is your scheduled embarkation port or your cruise ship is just visiting for the day, this vibrant community has something for every cruise passenger to enjoy. With so many outstanding attractions, adventurous opportunities, and other fun to enjoy, you will want to visit Port Canaveral over and over! Port Canaveral is one of the busiest cruise ports in the world. Not only is it a naval and shipping port, but millions of cruise passengers from different cruise lines pass through Port Canaveral every year. While itineraries and cruise schedules vary, ships from Carnival Cruise Line, Disney Cruise Line, and Royal Caribbean Cruises are frequently based at Port Canaveral. Furthermore, ships from Norwegian Cruise Line, Cunard Line, AIDA Cruises, Oceania Cruises, Azamara Club Cruises, Holland America Line, and others regularly visit Port Canaveral. Check these cruise accessories before your set off on your vacation. Located at the midpoint of the east coast of the Florida peninsula in Brevard County, Port Canaveral is just 45 miles east of Orlando and in the heart of the Space Coast. This puts the port in a unique position to be close to a wide variety of attractions that are easy to access even if visitors are only staying for a few hours. There are many different attractions and unique places to visit close to Port Canaveral. All options on this list are within a 30-minute drive of the cruise port, easy to reach whether you are driving to the port, renting a car, hiring a rideshare service, or arranging some other transportation. The only problem will be which one to choose! 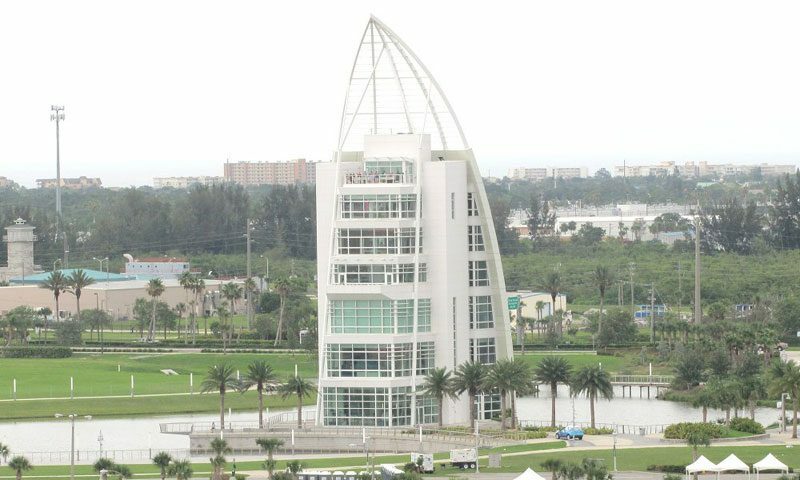 Start your day of adventure in Port Canaveral right at the port when you visit Exploration Tower, a seven-story, interactive set of exhibits that delves into the port’s history. You can learn how harbor pilots navigate to cruise ships, learn about the port’s origins, and get spectacular views of the surrounding area – including your ship’s dock – from both the indoor and outdoor observation decks. Take your visit to new heights at Skydive Space Center in Titusville, north of Port Canaveral. This thrill-seeking facility offers the world’s highest tandem dive, letting you see the sights from a dizzying height of 18,000 feet. This gives you an unprecedented 1-2 minutes of freefall along with an 8-10 minute parachute drop. Free aerial tours of Nasa are included with every dive. 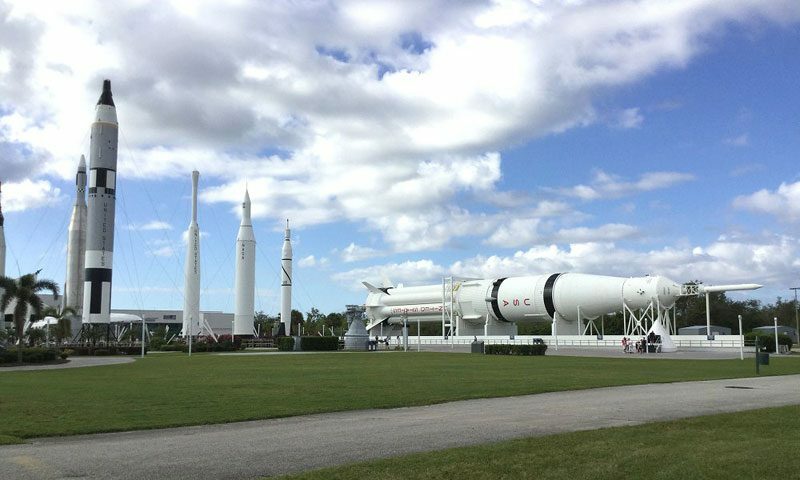 If your vacation dreams are even higher, you can’t get closer to outer space than a visit to Kennedy Space Center. You can get up close and personal with the space shuttle Atlantis and a Saturn V rocket from the Apollo program, as well as meet an astronaut, stroll through the rocket garden, and learn about ongoing efforts to launch more commercial satellites and prepare for missions to Mars. Browse all Kennedy Space Center items from Amazon over here. If you want a bit of height but prefer to keep your feet on the ground, try Cocoa Beach Aerial Adventures, just a few minutes south of the port. This adventure course includes three different trails and varied levels of difficulty for all guests to try, with 50 different bridges, wires, swings, walls, and other obstacles to challenge. No experience is necessary and all safety equipment is provided. Alligators are a key Florida attraction, and you can get up close and personal with them at Golf’n’Gator. Not only does this attraction feature two 18-hole miniature golf courses, but you can also see, hold, and have your photos taken with alligators. Snakes, exotic birds, lizards, and a tortoise are also guests here, and you can try out the mining trough to pan for gems, gold, or fossils for fun souvenirs. You will need to refresh yourself during your exciting day at Port Canaveral, and you can’t go wrong at the Florida Key Lime Pie Company. 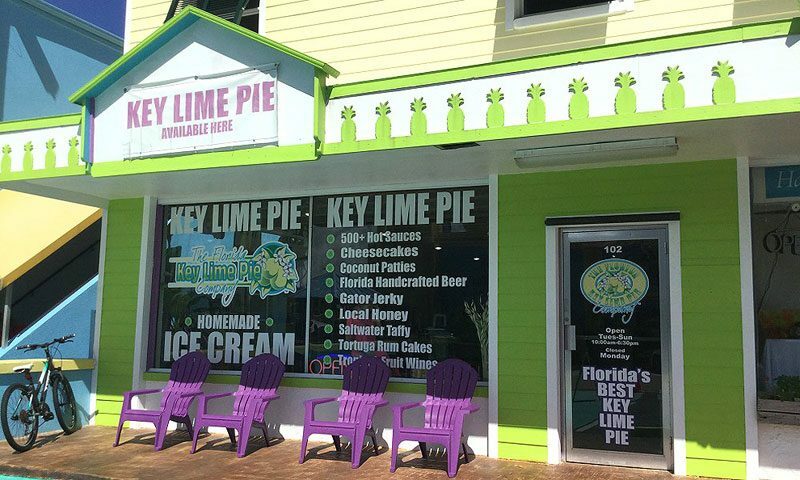 From fresh key lime pie to homemade ice cream, cheesecakes, local Florida craft beer, rum cakes, gator jerky, tropical wines, hot sauces, marmalades, salt water taffy, and other treats, this colorful store has something to tempt everyone’s taste buds. And don’t miss your free sample of their signature key lime pie! All your Key Lime Pie needs can be found on Amazon right here. Walk on the wild side with a visit Merritt Island National Wildlife Refuge, a 140,000-acre sanctuary adjacent to Kennedy Space Center. Both auto tours and hiking trails are available, and the refuge is home to hundreds of species of birds, butterflies, reptiles, and mammals. Alligators, wood storks, manatees, bobcats, river otters, and gopher tortoises are just a few animals you may see here. 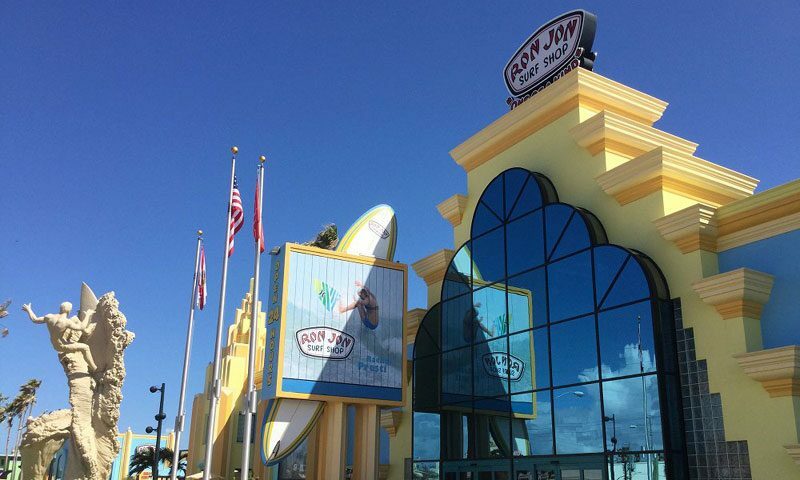 Get in touch with your inner surfer dude at the famous Ron Jon Surf Shop in Cocoa Beach. This huge store has all types of surfing and snorkeling gear, swimwear, and surf shop souvenirs of all types, ideal to show off on your cruise vacation. The sandstone statues in front of the store highlight champion surfers from the region, and don’t miss the in-store waterfall. You can purchase Ron Jon Surf Shop items without leaving your chair! The Space Coast is known for its modern technology, but it has an ancient side you can discover at the Dinosaur Store and Museum. Dinosaur fossils, eggs, teeth, claws, and other items are available in the store, and the two-story museum features stunning exhibits and dioramas not only of dinosaurs, but also of ancient cultures from China, Egypt, Mexico, and South America. Get a different perspective on the area’s history and its military connections, including Port Canaveral’s naval base, at the Brevard Veterans Memorial Center on Merritt Island. A free museum and library, the outdoor plaza has several helicopters, jets, armor, and other military vehicles on display, and the indoor museum features artifacts from the Revolutionary War through present-day conflicts. These are just a few of the attractions and adventures that await close to Port Canaveral. If none of these quite excite you for your visit, you can also try kayaking on the Indian River Lagoon, strolling miles of beaches, taking kiteboarding or surfing lessons, arranging an airboat ride, trying your skill at sport fishing, shopping extensive antique malls, or enjoying ocean-fresh seafood and plenty of regional fare. Welcome! Find out why you should choose Port Canaveral cruises out of Florida. Details about the terminals, transportation and things to do at the Florida port. A full cruise guide on Port Canaveral car rental with transporting between the Florida port and nearby airports along with vehicle pick up locations.